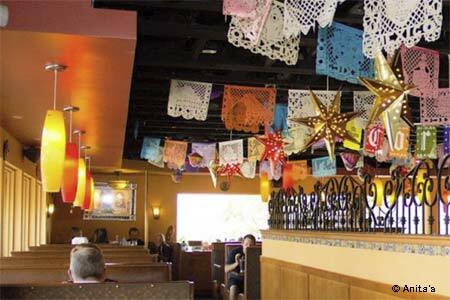 : This casual Mexican eatery and community anchor gets packed with nearby Camp Pendleton Marines, families and locals, as the mood is jovial, the service is friendly and the food authentic. Breakfast is served all day and night --- think piping hot skillets of diced bacon and peppers, cheese, potatoes and two eggs on top, or chilaquiles with green tomatillos. We like the Mazatlan-style shrimp cocktail (with an appropriately fiery sauce), and the carnitas with garlic shrimp and carne asada (the kitchen’s version of surf ‘n’ turf). People return for the signature enchiladas like the chicken version smothered in a zesty green tomatillo sauce or the Oaxacan, chicken in a complex mole sauce with sour cream and melted cheese. With the Mazatlan fajitas, shrimp and scallops come out sizzling hot with heaps of fresh onion and peppers. For simplicity, try Anita’s carnitas, tender shredded pork with guacamole and salsa fresco. All dishes are enhanced by the flow of margaritas.